Mandelic Acid is the only one ingredient of lipophilic acid for skin care. It can inhibit the bacteria(such as P. acne) growth and penetrate through the skin well to peel the thick keratin and prevent the pore blocked. Moreover, Mandelic acid can effectively decrease melanin formation, inhibit the activity of tyrosinase, improve skin tone and various skin pigmentations such as freckles, inflammation and so on. The performance of Mandelic acid is more effective than tranditional AHA. Paeonia suffruticosa Andr. Extract could inhibit tyrosinase and dopa oxidase activity to prevent the generation of melanin. It also could speed on cell proliferation and repair DNA damage. It has multiple repairing mechanisms to skin. Characteristic: UV Protection, Repair, Anti-inflammation, Anti-oxidation. In 2006, Dr. Seki’s research group announced that Pine Bark Extract had an effective improvement in skin inflammation and skin injury resulted from the ultraviolet rays. 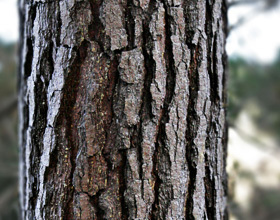 At least 75% tester felt satisfied with the improvement of skin after using Pine Bark Extract twice a day for 4 weeks. 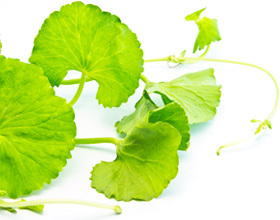 Centella Asiatica Extract is helpful in anti-allergic, anti-inflammatory and reducing the sensitivity of skin. It could speed on the synthesis of collagen and the self-recovery of skin. It is also effective in skin redness recovery which resulted from UV light and post-surgery. 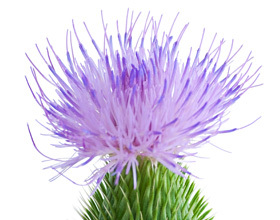 According to the study of Dr. Hsieh Dermatology Research Center, Silybum Marianum Extractas has an excellent performance in antioxidation. Even very less concentration could perform perfect effect for DPPH radical scavenging, whitening, moisturizing and skin damage repair. Moreover, it is an effective prevention of skin cancer. 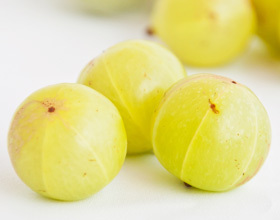 Phyllanthus Emblica extract can prevent injury from UVB and be more effective than Vitamin C in the same consistency. It can reduce the skin melanin formation , speed on the synthesis of collagen, prevent the wrinkles and sagging. 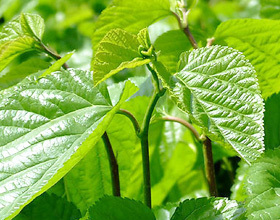 Researches show that Houttuynia Cordata riches in polyphenols and flavonoids. It has good anti-oxidant ability that can prevent UV rays effectively; therefore, obviously reduce melanin accumulation, promote skin whitening and delay skin aging. 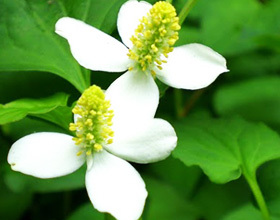 Moreover, Houttuynia Cordata can reduce skin inflammation that can effectively improve skin redness and rash. Anemarrhena Asphodeloides Extract has the special mangiferin ingredient that can inhibit the activity of matrix metalloproteinase-1. Therefore, it can reduce the possibilities of skin collagen degradation and delay skin aging effectively. 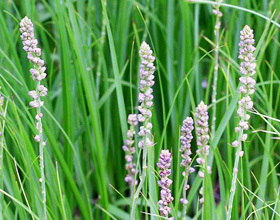 In addition, Anemarrhena Asphodeloides Extract has the effect of anti -inflammatory and anti-allergy, so it can prevent and improve the problems of skin allergy. 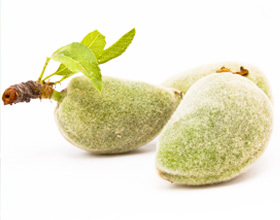 Mulberry leaf, fruit and root bark have good skin care functions. Among those parts, the mulberry root bark has the most outstanding effect. Morus Alba L. Root Bark Extract includes extreme good anti-melanin function; therefore, it can be added into skin care products to be the skin whitening ingredients. In addition, the powerful anti-oxidant effect of this extract can eliminate free radicals and delay skin aging significantly. The function of Nelumbo Nucifera Leaf Extract is to reduce melanin formation, so it can be used for skin whitening ingredient. 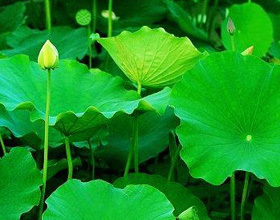 In addition, Nelumbo Nucifera Leaf Extract can inhibit elastase activity and reduce elastin degradation. 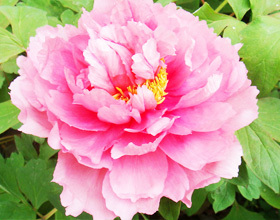 Therefore, it is an effective ingredient to prevent fine lines formation and improve skin aging. 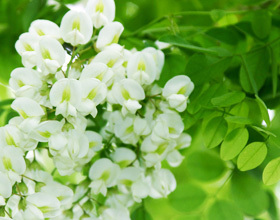 Researches indicate that Sophora Japonica Flower Extract has strong anti-inflammatory effect. 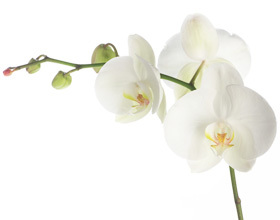 Moreover, this extract can inhibit tyrosinase activity, so it can be formulated in bleaching products of skin. Rosa Roxbunghii is called the king of fruit and super anti-oxidant star, that is because lots of studies show that this fruit has huge amount of vitamin B, vitamin C and Superoxide dismutase (SOD). 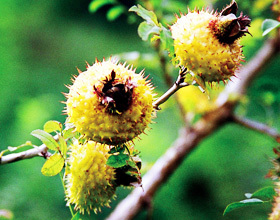 Rosa Roxbunghii Fruit Extract has good elimination effect for all types of free radicals. Moreover, it can delay skin aging, prevent skin damage from UV rays, improve skin pigmentation effectively.